I recently ordered this '04 Chen's Teapot Ancient Tree and had been a bit on the fence. It doesn't quite brew up the way I expect as the early brews are rather thin and I thought perhaps the two weeks it spent in extreme aridity in my mother's house might have done some harm. The lasting brown sugar tail on this tea is intense but still there is something not quite right. The cynical part of me says that there is something always amiss with currently available older teas around the affordable $100 price tag. My single lady friends used to lament that there is something always wrong with single available men after a certain age- I used to mumble lame uplifting nonsense to make them feel better. Now I realize this is exactly how I feel about aged tea that's readily available to me. Though not an apple to apple comparison, I whipped out '08 Chen Yuan Hao Gushu Mushroom sent to me by Su a few years ago. In my flawed algorithm for puerh mental accounting, I wanted to see how this compares. These grades do not strictly convey actual quality as I've read that even though Jipin by name should be the best quality, but apparently many judge Zhenpin the best. Drats, this one is a jipin but still it's a higher grade belonging to a higher-end label of Chen's Teapot. 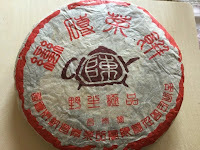 Red Lantern Tea also labeled this cake as "Ancient Tree" although the wrapper states yesheng and not gushu but I'll just take those dubious designations with a grain of salt and let the tea speak for itself. 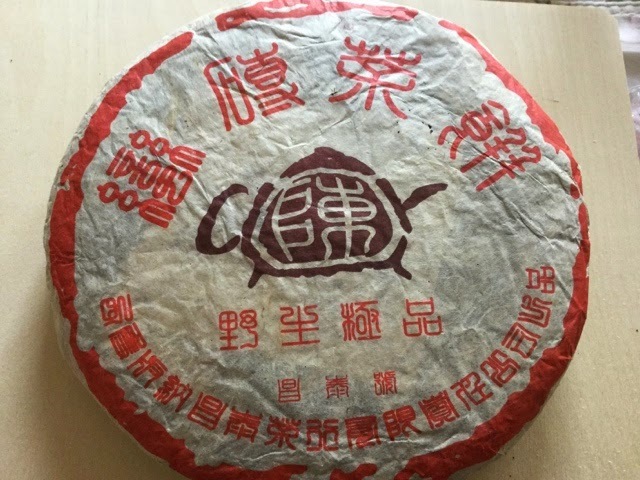 I brewed up the '08 Chen Yuan Hao Gushu first this morning as I remembered it being a delicate brew soft in the mouth like many of the gushu I've had. My husband says right away "It's good. It's immediately sparkly in the mouth". I'm jumping up and down. "Sparkly! Sparkly! How come you can taste sparkly and not me!" I never know if he's messing with me but he insisted on sparkliness. I was astounded as my husband is quite congested with a cold. I don't register the sparkliness but the soft lingering sweetness tastes very much like a Yiwu. Chen Yuen Hao- another high-end Taiwanese outfit - is currently not readily available to the Western market but is worth finding. So the '04 Teapot is just good enough that I bought one last Changtai- the 04 Purple Yiwu. I'm weary of having to much Changtai in my collection. Changtai is notorious for oxidizing maocha a bit longer than is safe for aging but still I like their stuff well enough. 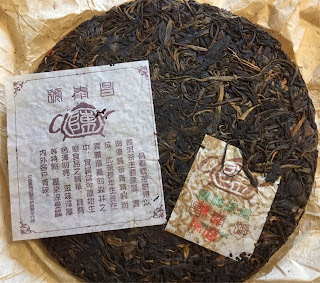 Like many factories, their earliest productions are deemed superior when they had ready access to old tree maocha and perhaps 2003 or before 2004 represents some cutoff period for their better stuff. I can definitely taste the underlying weakness in their later productions but weak tea doesn't bother me.